So far, the Oklahoma program has received 6,000 applications. Working from home could become even more rewarding. Tulsa, Oklahoma, is aiming to attract people by offering those who work remotely and entrepreneurs $10,000 to move there. If they agree to stay for at least one year, the workers will receive cash that includes rent subsidies and stipends. The initiative in Tulsa is the latest effort to convince people to move to smaller cities. The programs dangle thousands of dollars in perks and incentives, hoping to draw in workers who might otherwise settle in major metropolitan areas. Since the financial crisis, the country’s most prosperous cities have become more economically dominant. According to a Brookings Institution report on economic inequality, the rise of information technology has rewarded areas that are already densely developed. Dubbed Tulsa Remote, the program is sponsored by the George Kaiser Family Foundation, whose website for the initiative has received more than 6,000 applications since it went live in November, according to Ken Levit, the executive director of GKFF. 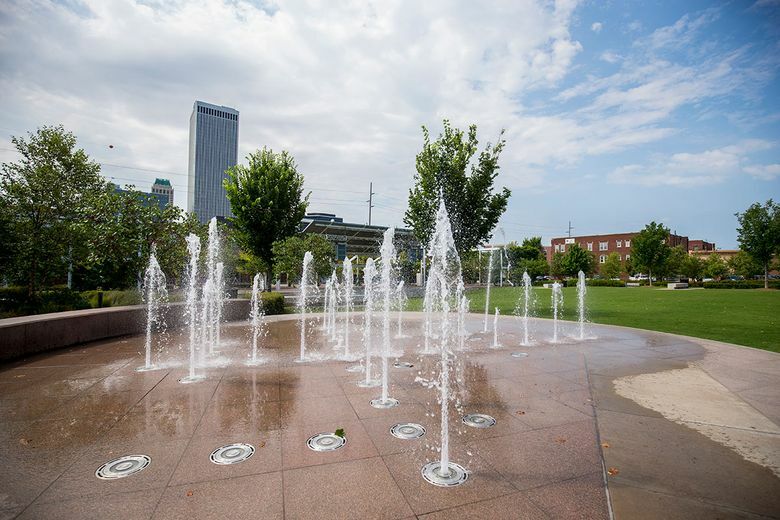 Levit said Tulsa Remote is part of a broader strategy of making the community more vibrant and inclusive and boosting its economic development by energizing and diversifying its businesses. “I am surprised and elated by the response, by the enormous amount of momentum out of the box,” he said. According to Labor Department statistics, the Tulsa metro area has an unemployment rate of 3 percent, ranking 110th out of all areas, but still below the national rate of 3.7 percent. To qualify for Tulsa Remote, applicants must be at least 18 years old and be employed with a company that allows them to work remotely. Entrepreneurs who do not reside in Tulsa County can also apply. The total package of $10,000 spread out over a year covers $2,500 for moving expenses, monthly payments of $500 to help cover rent, and $1,500 after living in Tulsa for one year, according to Levit. “There are other benefits that make the offer even richer, which include about $300 per month in additional rental assistance,” Levit said. Applicants will go through a video interview and visit the city before they are made an offer. The remote employees and entrepreneurs who move to Tulsa will also receive free coworking space to do business, offered by 36 Degrees North, in downtown Tulsa, according to Levit. Several other cities offer major incentives to people willing to relocate, according to CNBC. Students who have graduated in the last 10 years with a degree in a STEAM program (science, technology, engineering, art, or math) can get up to $15,000 from the Community Foundation of St. Clair to pay off their student loans, if they move to St. Clair, Michigan, where the joblessness rate is 3.9 percent. The Hamilton Community Foundation in Hamilton, Ohio, offers recent college graduates up to $5,000 to relocate, if they have already secured a job there. The area has an unemployment rate of 3.7 percent. And in New Haven, Connecticut, people can get $10,000 in interest-free loans on their first home. The unemployment rate there is 3.9 percent. To encourage residents to plant even deeper roots, families could be eligible for $40,000 for in-state college tuition, if their children graduate from public school in New Haven. Spokesmen for the three programs did not immediately respond to requests for comment.